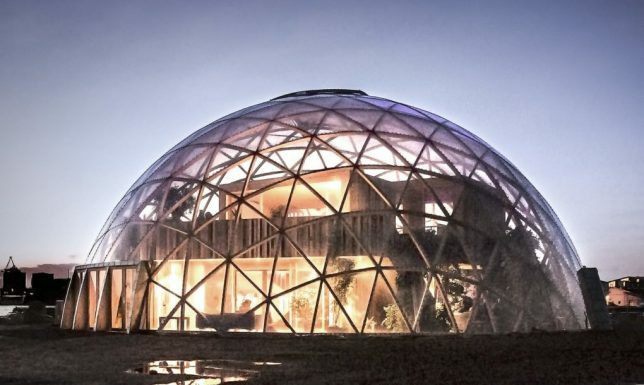 Architect, engineer and inventor Buckminster Fuller developed the world’s most infamous dome structure while searching for the most efficient housing solution possible during the 1940s. 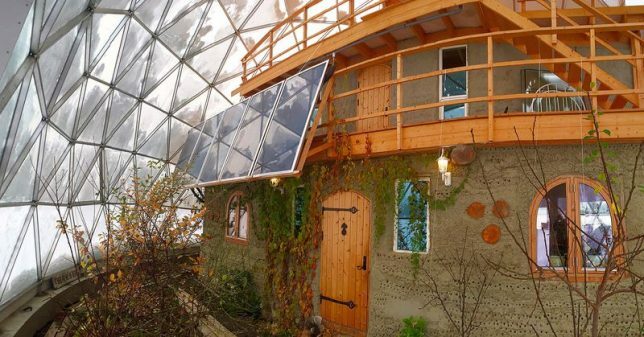 The dome structure finds the shortest paths between two points on a sphere, and its structure is modular by nature and practically infinitely scalable. 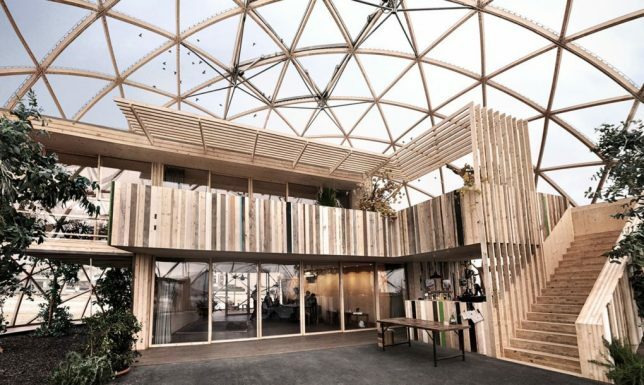 That makes it an ideal basis for all sorts of projects, from interactive art installations and temporary theaters to prefab homes and gigantic greenhouses. 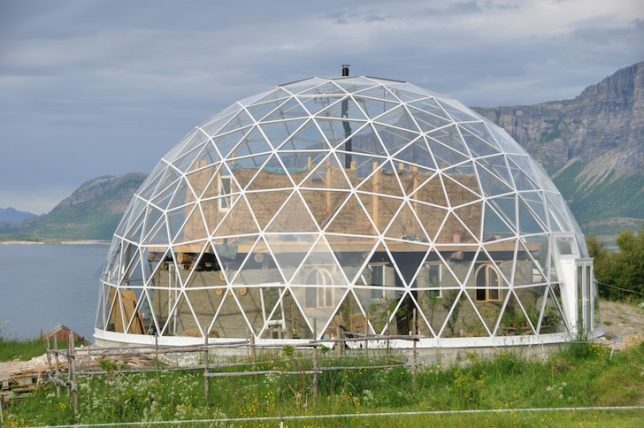 How do you grow food almost year-round in one of the world’s harshest climates? 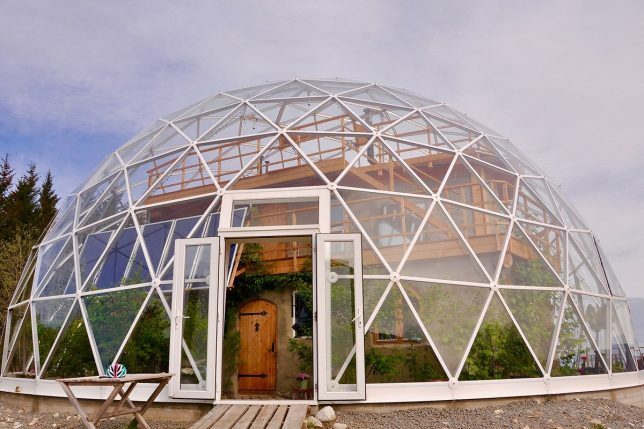 The Hjertefølger family discovered a way to make it work on the island of Sandhornøya in northern Norway, within the Arctic Circle, by covering their homemade cob house with a 25-foot-high dome. 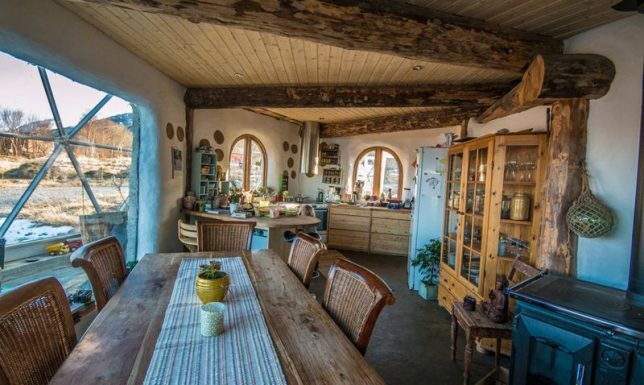 Within its walls are a solar-powered five-bedroom home an dan irrigated garden that stretches their growing season by a full five months. 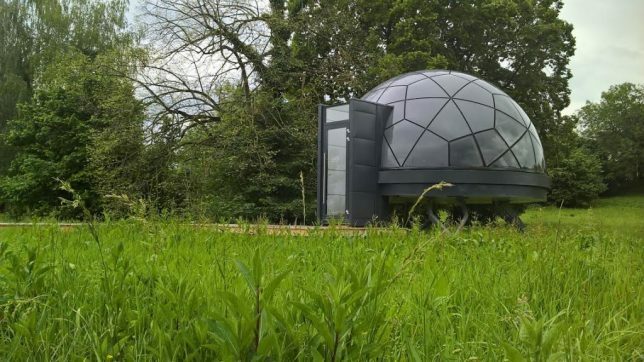 Prefab dome homes are certainly nothing new. 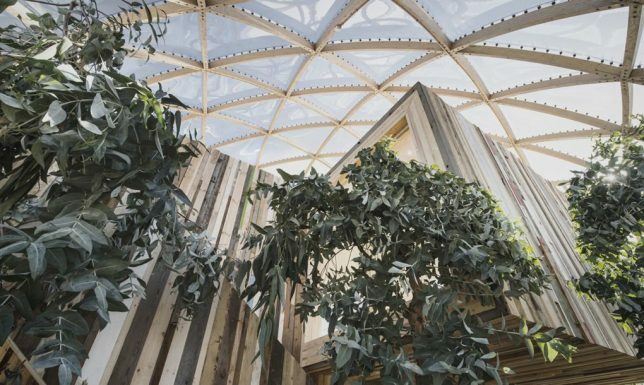 Though the craze to build them has died down a bit since the 1970s and ‘80s, they still make for striking structures, and renewed interest in modularity has increased their popularity again. 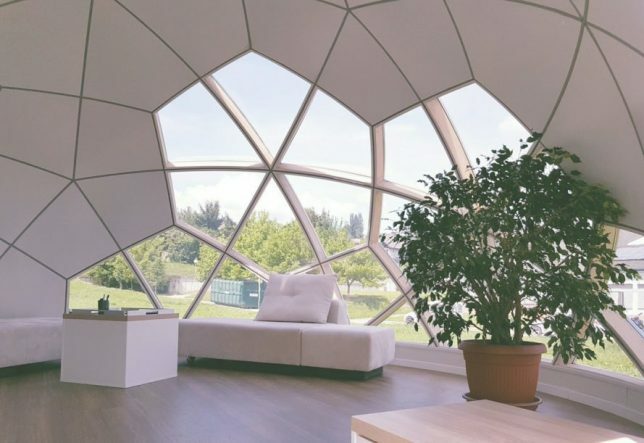 These prefab domes by Slovenian-based Smartdome can be placed just about anywhere, featuring adjustable steel legs to accommodate uneven terrain. 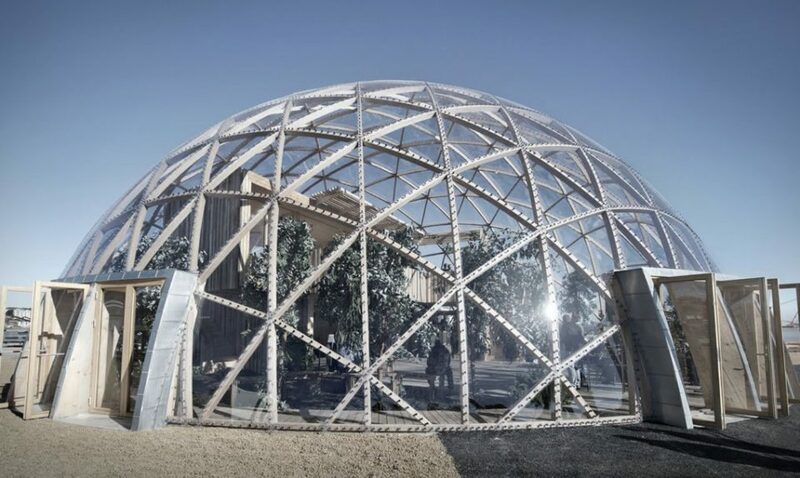 ‘Walking Pod,’ a giant robotic geodesic dome powered by two commercial dishwasher engines, made its debut at San Francisco’s Maker Faire and, later, the Burning Man festival in 2013. 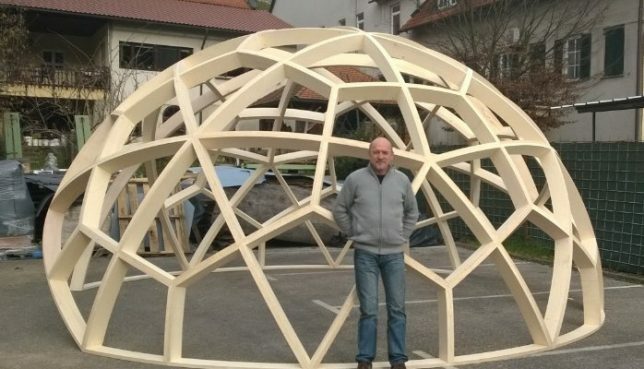 Created over a period of three months by welder Scott Parenteau, the design aims to be a “mutated version” of Theo Janssen’s StrandBeest. It requires just 800 watts of power to run at its top speed of 0.2 miles per hour, getting most of it from two 12-volt batteries hooked up to an inverter. 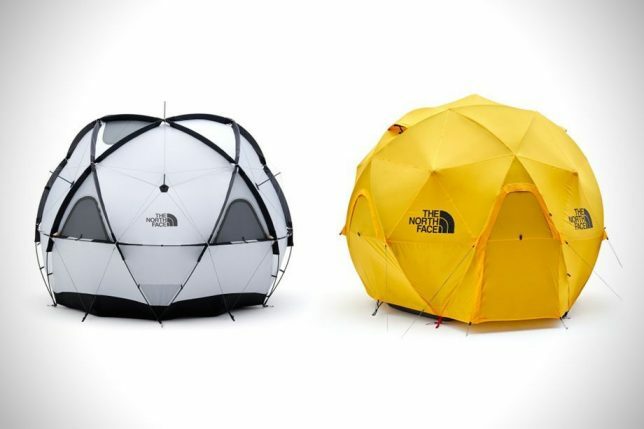 Not only does The North Face’s new dome tent provide six feet of headroom inside, using space efficiently, its shape gives it the ability to withstand winds of up to 60mph since the force is spread evenly across its structure. 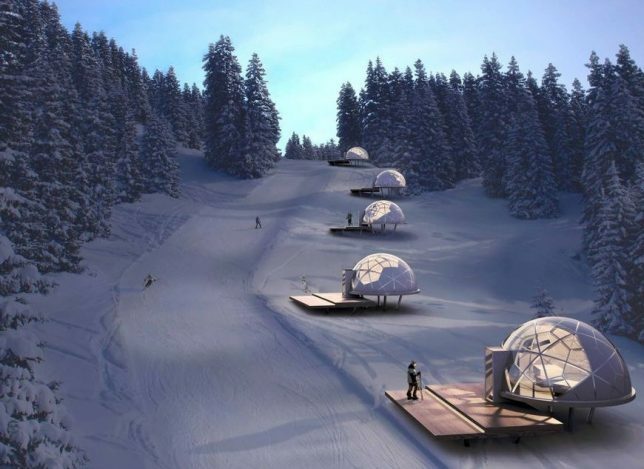 While the company has had ‘dome tents’ for a while now, these two new models are much rounder than previous designs, offering considerably more space. Unfortunately, it’s only available in Japan.